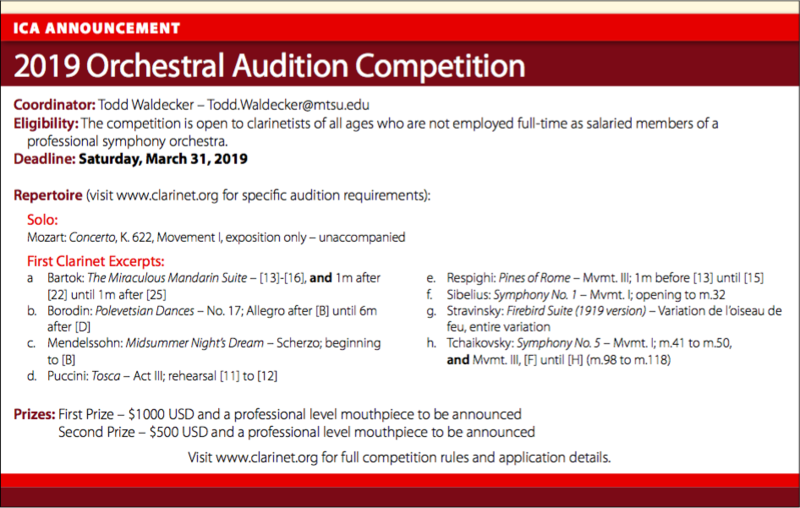 Eligibility: The competition is open to clarinetists of all ages who are not employed full-time as salaried members of a professional symphony orchestra. Application: Deadline for the submission of application and other application materials is Monday, April 1, 2019. Watch this space for registration information. 2. Recording Instructions: Please provide a high quality recording containing the following excerpts, in the exact order. Each selection/movement should be listed as a single track, and should not contain your name. Please be aware that the quality of the recording will influence the judges. Recordings should not be edited and only continuous performances of entire works or movements are allowed. 3. A separate written and signed statement, attesting the recording is the playing of the contestant and has not been edited. 4. A permanent address, telephone number and e-mail address should be provided. Judging of recordings will be conducted with no knowledge of the contestants. Do not include any identification on your audio files. There should be no speaking on the recording, such as announcing of compositions. Preliminary judging will be held by recorded audition. 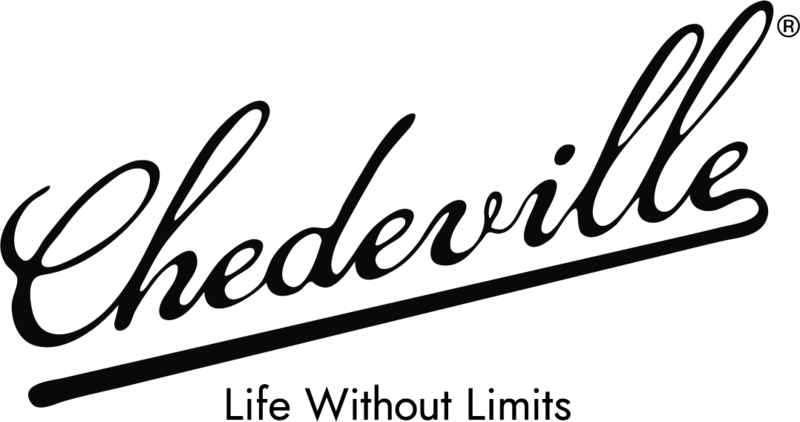 Semifinalists will be chosen by committee and notified via email by Wednesday, May 1, 2019. Semifinal and final rounds will be at ClarinetFest® 2019, to be held in Knoxville, Tennessee from July 24-28, 2019. Repertoire for the Semifinal and Final rounds will consist of the excerpts listed above. Past first-prize winners are not eligible to compete. All contestants will accept the decision of the judges as final. All semifinalists will receive free registration at ClarinetFest® 2019. Travel expenses will be the responsibility of the contestant. All recordings will become the property of the ICA and will not be returned. 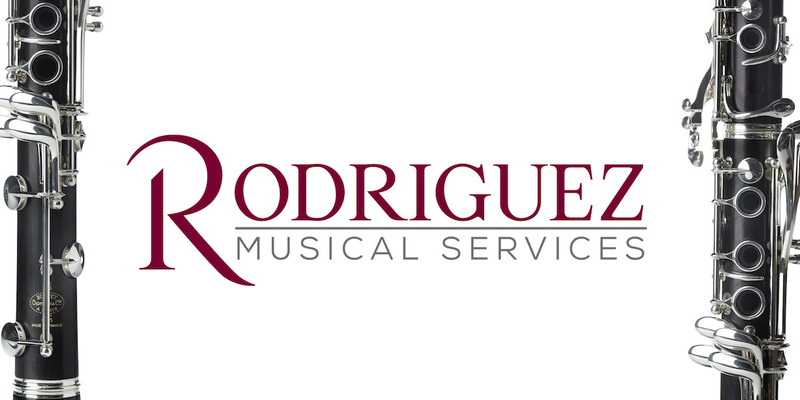 The Orchestral Audition Competition is generously sponsored in part by Gregory Smith.